Apple's iCloud is a great solution for storing your photos, music, videos, documents, important files and other data. Most importantly you can not only access this cloud service from Apple devices but also from Windows PC. But a lot of users don't know how to access iCloud photos. In this article you are going to find the best 6 ways to access photos from iCloud on PC, iPhone or Mac. Way 1. How to Access Photos from iCloud Using iOS Device? Way 2. How to Access Photos from iCloud on PC Using iCloud Control Panel for Windows? Way 3. How to Access the iCloud Photo Library on Mac? Way 4. How to Access Photos and Videos on iCloud.com? Way 5. How to Access Photos on iCloud Backup? You can easily get the whole idea of how to access iCloud photos on iPhone from this part. When you want to store your photos, iCloud will give you the most special feature named "iCloud Photo Library" especially for photos. This feature can be used to download or transfer photos between iPhone and any other devices where you have activated iCloud with your account. 1. First, go to the "Settings" menu of your iPhone and activate the Photo Library feature. You need to head over to "Settings" again, choose "iCloud" and tap on "Photos". Now find iCloud Photo Library and activate it. 2. Choose "Download and keep original" option to proceed. 3. Now you can see the photos by just launching the Photos app on your iPhone. The data will be automatically synced by iCloud Photo Library. Actually, iCloud Control Panel for Windows is the easiest way to know how to access iCloud photos on PC. Here is how you can do it. 1. First you need to download and install iCloud ON your PC. Visit this link to proceed forward – https://support.apple.com/kb/HT204283. 2. Now launch iCloud and choose "Options" to start the set up process. 3. Keep iCloud Photo Library option enabled and now click on "Done". Click on the "Apply" button to finish the process. You can access and download all the images on your (open Favorites in your file explorer and click on iCloud Photos). 1. First you need to launch the Photos app on your Mac. 2. Now from the upper left corner of the screen, go to "Photos". 3. Now choose "Preferences" and click on the "iCloud" tab. 4. Now you need to choose "iCloud Photo Library" and the images will be stored in the Photos app on your Mac from the iCloud account. iCloud.com is the easiest way to see iCloud photos on computer. This part will show you how to download iCloud photos and videos from iCloud.com. 1. First you need to visit – icloud.com and sing into your iCloud account. 2. Now go to "Photos" from the menu. 3. Now you need to choose any photo or video and click on the "Download" button just like the below image and the file will start downloading on your device. 1. First you need to download, install and launch UltData on your PC/mac. 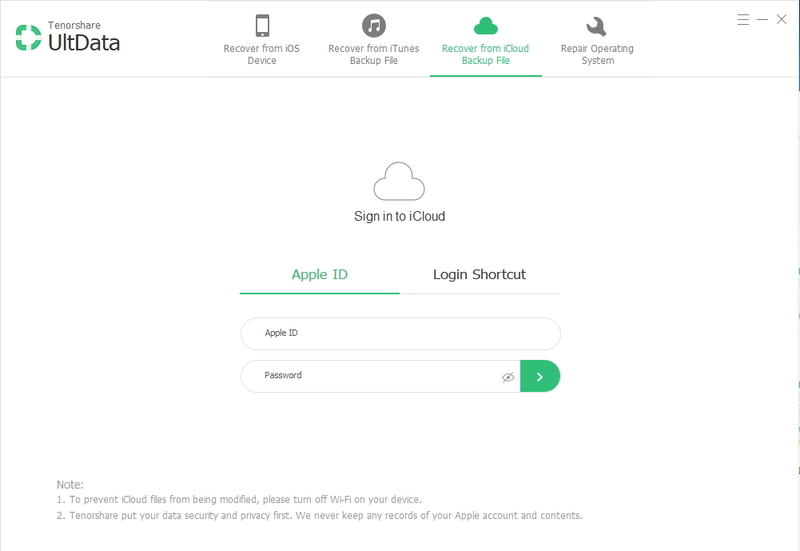 Now go to the "Recover from iCloud Backup File" option and log into your iCloud account. 2. On the next page, all the backup files that are associated with your iCloud account will be displayed. Check the details of the backup files and choose the one you need, then click on the "Next" button. 3. Now you will be directed to a page where various file types will be displayed in front of you. Choose the file types you need and click on the "Next" button to start downloading. It will take some time. This article is a full package for anyone to understand how to access iCloud photos. It doesn't matter if you don't know how to access iCloud photos on PC, iPhone or Mac. You will get all the help from here. Also the best way to access iCloud photos or recover files from iOS devices, iCloud or iTunes backup is by using UltData. So keep using UltData to get the best result every time.